Three years ago, lil’ Falcon Heene was at the center of the Balloon boy hoax, thrust into the national spotlight for being an unwilling pawn in his parents’ scheme for notoriety. Now, Heene has his own aspirations of stardom, and rather than riding a helium balloon to the heights of fame, he’s using an entirely different vehicle: a metal band. 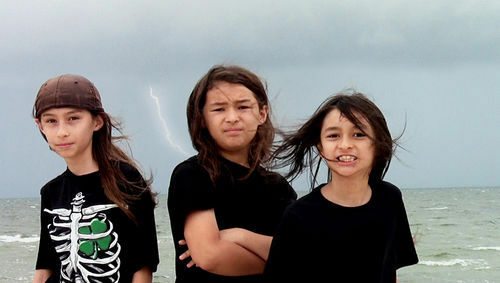 For more on the making of the next generation’s Slayer, read their extensive profile in New Times Broward-Palm Beach , which recounts their work and school schedules, their musical insight and ponderings, and the latest developments in the Balloon boy hoax that captured the imagination of a nation for one fleeting autumn. Below, watch the trio’s music video for the pseudo-sludge-y “Chasing Tornadoes”.